1 Million for Work Flexibility has more than 70 organizations on board to date as part of our coalition—and counting. We’re pleased to share more information about our supporter the National At-Home Dad Network in today’s “Spotlight On…” post. Admit it: when you think of a stay-at-home parent, you typically think of a mom, right? Well, more and more fathers are (happily) leaving the office to take on the formerly traditional role of caregiving. Their new title: at-home dads. The at-home dad is defined as any father who is the primary caregiver of his children. Also known as stay-at-home dad (SAHD) or work-at-home dad (WAHD), these men tackle formerly female traditional roles—such as caring for their children and taking care of the home—while their spouse works outside the home as the primary breadwinner. Dads who leave the workforce mostly do it by choice; it’s estimated that 70 percent of SAHDs are at home because they want to be, not because of job loss or unemployment. The National At-Home Dad Network can help any SAHD find, start, or simply add their own playgroup to their database. They offer a plethora of tips on how to start, maintain and make a dad group thrive. And they host a yearly convention to help stay-at-home dads connect with other dads, and also to enhance their parenting skills. The convention is not a networking event in the traditional sense of finding new business opportunities, but rather designed to help foster what it takes to be a father. That doesn’t mean that all at-home dads don’t work, though. Many at-home dads work in remote jobs, but still take on the bulk of the caregiving responsibilities while their wives work outside the home in a 9-5 job. It’s because of this workplace flexibility that they are able to continue working in the careers that they love and also get to have a much more active role in raising their children, too. 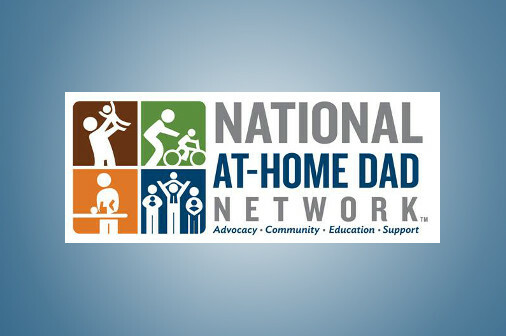 The National At-Home Dad Network is the helping hand that helps these at-home dads achieve just that. 1 Million for Work Flexibility is proud to have the National At-Home Dad Network’s support as we work to expand access to work flexibility for employees across the country. For a full list of our supporter organizations, visit our Who We Are page.